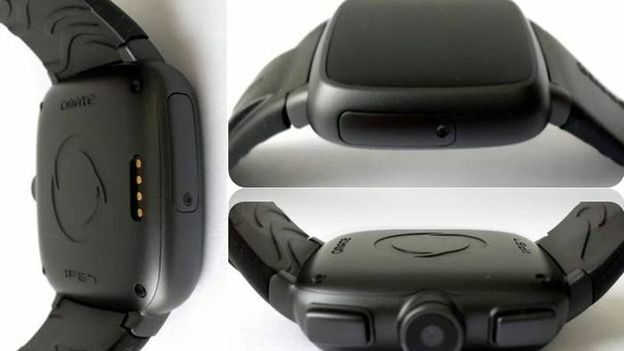 A smartwatch with a five megapixel camera built in will soon go into production after hitting its crowdfunding target. The Omate TrueSmart raised more than $100,000 via fundraising website Kickstarter. According to the founders of Omate, a working prototype already exists. The money will be used to fund production of the smartwatch. Speaking to the BBC, one of Omate's founder Nick Yap said that the smartwatch had already been in production for one and a half years. He added that the company already has a factory in Shenzhen, China, which is ready to start producing the watches. “We already have working prototypes, but not the final design,” Yap told the BBC. "Most of the functions are there but we still need to add voice and gesture controls. According to the device's fundraising page, the smartwatch will be powered by Google's Android 4.2.2 operating system. It will also feature a 1.5-inch touchscreen, be water resistant, offer GPS support and come with 4GB of internal storage. An additional 32GB can be added by inserting a microSD card. He added that the first samples of the finished watch are expected next month. Omate hopes to begin shipping its smartwatch to customers in October. According to the company, it will retail for $299 (£190). The company isn't the only firm planning to launch a smartwatch in the next couple of months. Samsung is widely expected to unveil its own smartwatch, dubbed the Galaxy Gear at an event ahead of IFA next month. Apple is also believed to be readying its own smartwatch. Few details about the watch are known, but it is thought it will launch it sometime this year.